Hello all!!! It’s that time again! Our annual beach bike poker run is Saturday May 21st. I can’t tell you how excited I am to see everybody and put on the biggest Poker Run ever to benefit the Semper Fi Odyssey Kids Camp! I’d like to invite everyone out to the Emerald club Friday, May 20th from 8 to 11 for a special pregame warm-up. 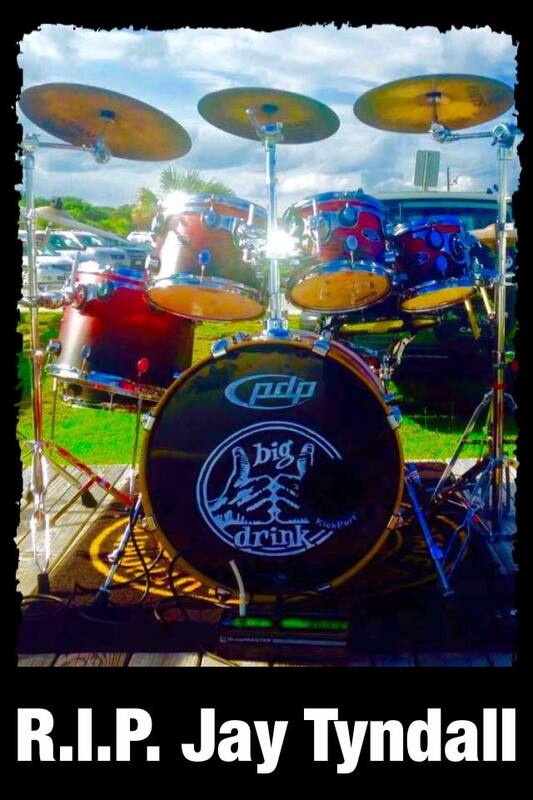 One of our favorite local bands, Big Drink will be there playing all our favorite songs. This show, unfortunately, will be different as they recently lost their drummer, Prentice “Jay” Tyndall unexpectedly at age 45. Friday night, Big Drink will be offering their CD’s during the performance for a donation to Jay’s family and Jessi and I will be there running one of our famed 50/50 raffles. The winning ticket will receive half of money raised with the other half going to Jay’s family to help them with expenses. Emerald Club owner Matt Morel has even arranged to have some food there. I think it’s a great opportunity for us to gear up for Saturday’s event while showing support for our local community. After all, it is what we do best! If you are unable to come out Friday night but still interested in supporting Jay’s family you can contact me directly via email at president@emeraldisleparrotheads.com or call 919-623-0653. I hope to see you Friday and Saturday and I’m looking forward to another awesome poker run. Take care!